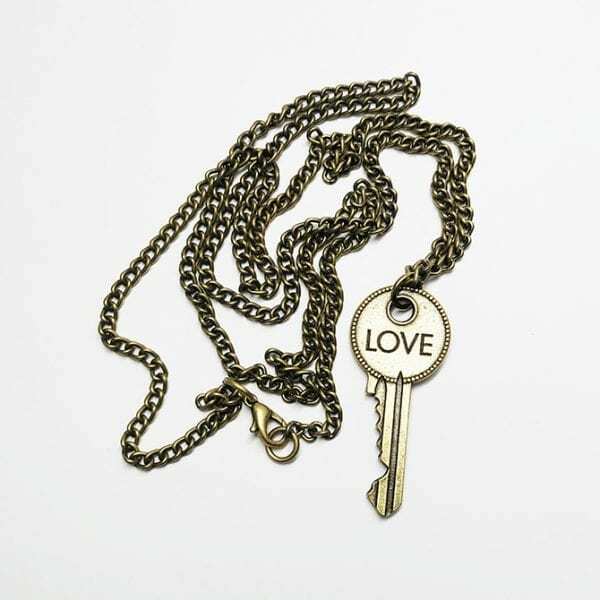 “Love” Key Necklace, with long chain. Necklace hangs 16 in when worn. Key is Brass along with a brass, nice chain with clasp.